Over the last three weeks, the Fontes Foundation team and the Potentiam Youth Centre staff have been mobilising and informing women in the slums surrounding Muyenga and Bukasa, about our Single Mothers Programme. The programme aims to empower young single mothers through soft and hard skills training so that they can create employment opportunities and financial independence for themselves and their children. 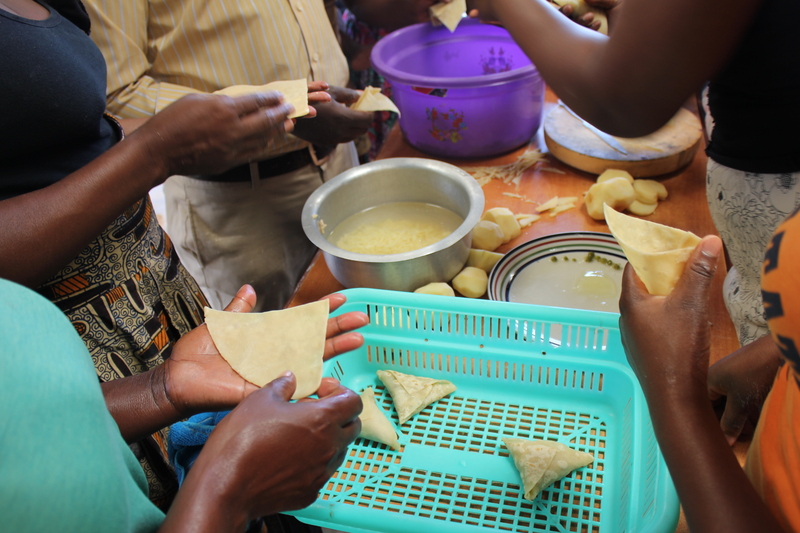 Over the next month, the women will be learning how to make local, popular snacks. In addition, to the hands-on training, the women will also be taught marketing, saving and financial management skills to assist them in creating start-up businesses. 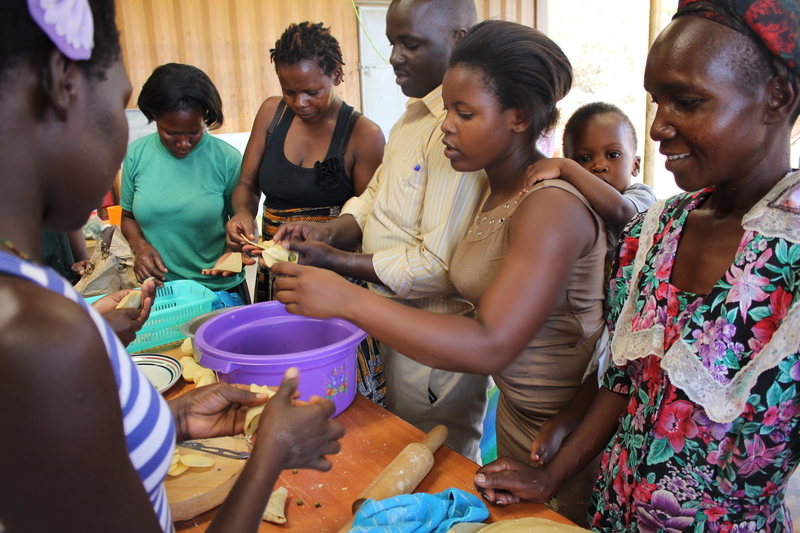 The mobilisation efforts were a huge success with the first two classes filled with excited young mothers. The mothers were able to devote their full attention to the training, as their children were cared for by the centre’s childminder in the children’s corner. Although, sometimes a moment of a mother’s touch is needed. To ensure greater employment opportunities for the Potentiam Youth Centres’ graduates, Fontes Foundation is excited to announce that last week it launched a Job Placement Programme. While the centre equips and trains the students with the necessary skills for employment or starting their own businesses, it is evident that the students require post-graduation support to assist them with the transition from the class room to the job market. The new programme aims to provide this continued support for the graduates, by offering work experience opportunities and connecting employers with graduates. In addition, the programme will provide continued financial advice, support and start-up credit opportunities for those graduates starting their own businesses. 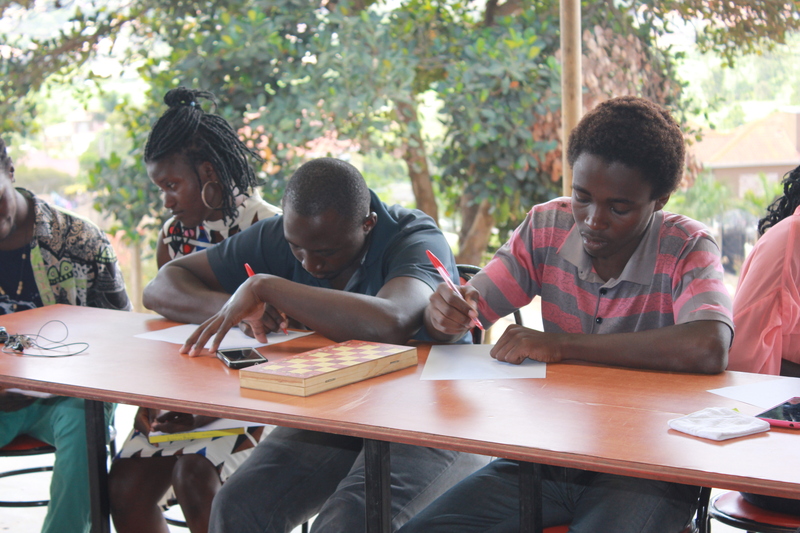 The programme will be led by Gary Agaba, who is also the youth centre’s personal development facilitator. The programme is already off to a successful start with 3 job placements and 2 internship positions found for five of the centre’s graduates.